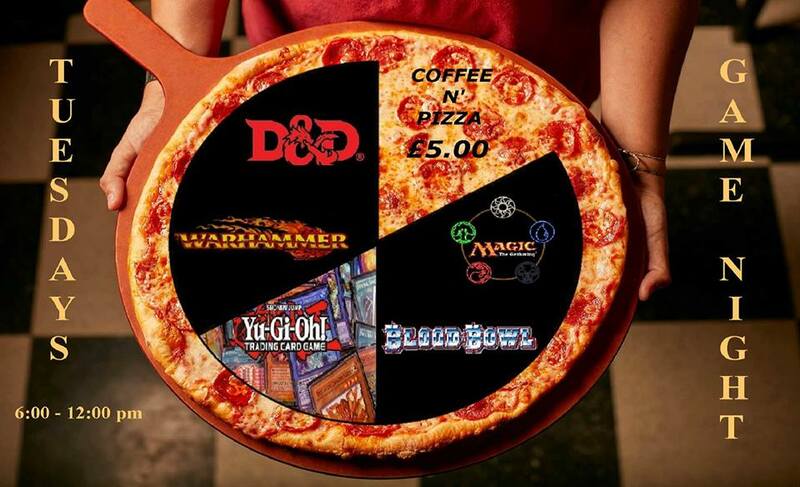 Offering you the opportunity to step aside from the stress of the day, relax, unwind, meet friends and just take time..
All evening dedicated to gaming, laughing, pizza and geeking. Share away ... spread the word on t'interweb ! !